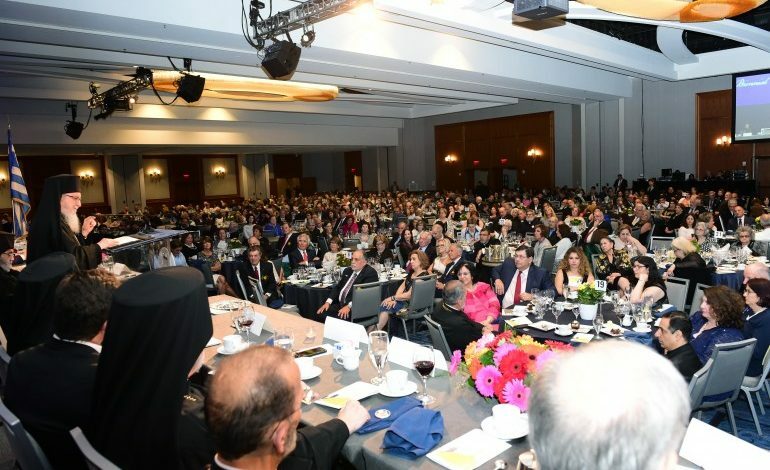 The 44th Biennial Clergy Laity Congress of the Greek Orthodox Archdiocese of America concluded on Thursday and every one could have acknowledged its big success, because every prediction for a revolt against Archbishop Demetrios, or calls for autocephaly from the Ecumenical Patriarchate were proven wrong. But the decision of the majority at the plenary to approve a budget with one million dollars deficit despite strong pleas by the executive committee and its treasurer Michael Psaros – who threatened to resign – overshadowed many of its accomplishments. In an interview with “Greek News”, Archbishop Demetrios said he is not accepting Mr. Psaros’ resignation and he will continue his efforts to convince him. He also said that the Chancellor of the Archdiocese, Bishop Andonios, who also threatened to retire for the same reason, he will remain in his position. Despite the fact that there is deficit in the budget, Archbishop Demetrios expresses confidence in the members of the executive committee and the finance committee that they will to cover the gaps and balance the budget. Demetrios is going to be on Monday in Constantinople for a regular meeting of the Ecumenical Patriarchate’s Holy Synod. He told the “Greek News” that his message is that of the “continuity”. “We continue to do what we are doing for 19 years, actually 20 after August 15. I believe in the idea of continuity in the Church. The Church as a whole and in part – the Metropolises, parishes etc – went always through difficulties without quitting. We are not quitting, we go on”. 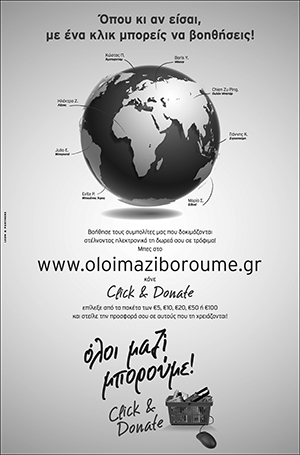 The full text of the exclusive interview with Archbishop Demetrios in the Greek section. The Plenary session began at 10 in the morning and ended well after 4 p.m. Vice-President of the Archdiocesan Council George Tsandikos set a positive tone in his introductory remarks and expressed the belief of the Executive Committee in the theme of the 44th Clergy Laity Congress that all things are possible to those who believe. The plenary also heard and approved a presentation by the Administration Committee and several amendments to the Archdiocese and Metropolis regulations were approved. The Youth Protection Manual was also presented to the delegates and approved. Also approved were several resolutions, including resolutions of thanks, which will be compiled and published in the Archdiocese website. Similarly, due to severe time restrictions, the National Philoptochos, the Archons, Leadership 100, and the Archdiocesan Presbyters Council made short presentations. The Plenary discussed at length the Archdiocese budget for 2019 and 2020, amendments were offered and modifications were voted requesting additional line items for funding the pension plan and HCHC. Mr. Psaros expressed his dismay for an unbalanced budget. At the end the budget was approved with the stipulation the Archdiocesan Council will have to make the necessary adjustments to bring it into balance. During the various discussions that took place at the 44th Clergy Laity Congress on the financial crisis of the Greek Orthodox Archdiocese, one thing that was proven beyond reasonable doubt was that for at least two past Congresses the delegates were passing fictional budgets that had no chance to ever be balanced; contributing thus to accumulating deficits that were covered by illegal transfers from restricted accounts. The difference between those Congress and the 44th Clergy Laity Congress is that then, people were presented with false information and their vote was based in a wrong presumption. This year, the delegates voted on the budget consciously knowing that it is not balanced. the dramatic plea by the Treasurer of the Executive Committee Michael Psaros, who spoke for about an hour explaining the work done by the committee and the importance of having a balanced budget. When he saw delegates voting on items that would lead to deficits, he announced that unless they change it, he will resign when his term ends in October. Archbishop Demetrios told him he won’t accept his resignation. One of the delegates that spoke after Psaros announcement said “if he resigns there will be another treasurer”. In spite all this drama, the budget approved has a deficit of at least $934,000, from additional funding of the priests pension plan and the School of Theology. A face safe vote that passed authorizes the executive committee and the Archdiocesan Council to find ways to balance the budget. The next Archdiocesan Council meeting will be in October, most likely without the Treasurer Michael Psaros. Prior the final vote, the plenary has decided to take off the budget the publication of the Orthodox Observer, under the presumption that by doing that $800,000 will be saved. The true amount is the savings will be $360,000 if the Observer shuts totally and 200,000 if it will continue the publication on line. This and other proposals were recalled with the vote to authorize the executive committee to make the decisions. Few minutes earlier the Archbishop spoke on the need for the Archdiocese to have its own publication and he revealed that when last year they had to publish an issue of the Observer in order to allow its Archdiocese to present its views against attacks, there was strong resistance by some people he didn’t name. Metropolitan Savas of Pittsburgh suggested considering how funds that have been created to help Archdiocese – like Leadership 100 and Faith – could be used for the Seminary, the Priests pension plan etc. Metropolitan Alexios of Atlanta was booed when he told delegates that all that voted the previous budgets – including him – bear responsibility. Neither the Archbishop nor the representatives of the Ecumenical Patriarch addressed the closing of the plenary, due to late time. An ecclesiastical observer following closely the Clergy Laity Congress told the Greek News that the movement of the clergy and some of the laity had many similarities with the Libertarian ideas and the conservative elements of the Trump movement. “These people say they respect the Archbishop and the Patriarch, but at the same time their statement is: if we have our own parish ministries, why do we need the Archdiocese? I have a feeling this libertarian attitude, ecclesiastically is pure protestantic congregationalism.”. Adding to that, the Clergy Laity rejected a resolution condemning Trumps policy of separating children of immigrants from their parents. Following his announcement at the plenary, Michael Psaros offered the following interview to the “Greek News”, in the sidelines of the Clergy Laity Congress. It is certain that after the disregard of his plea by the delegates his resignation is final. Q You have made an excellent presentation and I thought you have convinced everybody. But it seems that wasn’t the case. No it wasn’t really the case. Two years ago the Clergy Laity came together and passed a budget that was an absolute fiction. That is evidence by the in fact financial crisis that we experienced a year ago in the Archdiocese. I stood up and spoke for an hour and presented very concretely all the work that we have done, day and night, over the last year, to help the Archdiocese achieve financial stability. In 2018 we have a rock hard budget. That budget, with a contingency with over a million dollars, is generating two million dollars that we can use to satisfy our legacy financial obligations and the bank loan that we just took on. To come into this room – as people have done today – and to ignore all of the work, to ignore balanced budget and to just start passing resolutions regarding spending significant amounts of money, the budget for 2019-2020 is no longer balanced; and in my opinion it has destroyed our work. Therefore, I announced today that I cannot have my name, or my family’s name, or my reputation, attached to the budget that is – at least – been discussed right now. It’s up to this Clergy Laity to change its mind after lunch and pass a budget that is balanced, or as I said, I can no longer serve. At the expiration of my term in October I am done. I will ask his Eminence if I could limit my involvement to fundraising for St Nicholas National Shrine. Q, If we have another deficit, what is the financial future of the Archdiocese? It’s not if have a deficit. Based on the votes today and the decisions made by this body, the Archdiocese is going to go from a position of surplus back to a position of deficit. It is the overwhelming feeling of the room that the Archdiocese should cut more. I am a part of a team that has reduced overall cash expenditures by 25%, we cut spending by 8 million, we reduced spending by an additional 1.2 million, or 100,000 a month. I just don’t know where we – as an officer team – can find what I am estimating an additional 2 million dollars worth of cuts. I would suggest that those making these decisions quit their jobs, walk away from their familie, move to New Yorkh at their own expense, show up at 79th Street and find the million dollars to cut. No, we do have a credit line. It doesn’t matter if it’s the Archdiocese, a parish, a company or an individual family. We have killed ourselves to achieve a balance budget. This group (the body of delegates) has just ignored my plea in connection with the 2019-2020 budgets to continue our fiscal conservatism and our fiscal prudence. Very simply, this body has approved spending in amounts that are not supported by revenues. That is going to eliminate the surplus that we have created and that will ultimately result in a deficit. did the Archdiocese contribute to the Pan-Orthodox Council of Crete in 2016? It is reasonable to connect the 2017 deficit with the millions of dollars that the Patriarchate demanded and received for that event. Will we ever learn about this amount? Is the Patriarchate demanding the resignation of Archbishop Demetrios-an honorable and charismatic churchman and scholar- and his replacement with someone else who will cover this up? The press owes it to its readers to find the answer to this question.